Chem-Dry has become a trusted name in carpet cleaning for millions of households, cleaning in more than 10,000 households daily worldwide and more than 1 billion square feet of carpet every year. People trust us for good reason. We use a unique Hot Carbonating Extraction (HCE) process to deliver a deeper, longer-lasting carpet cleaning combined with a green-certified solution that is safe for your kids and pets. This means you get a healthy, thorough carpet cleaning. CLEANER. Our primary cleaning solution is somewhat similar to club soda. 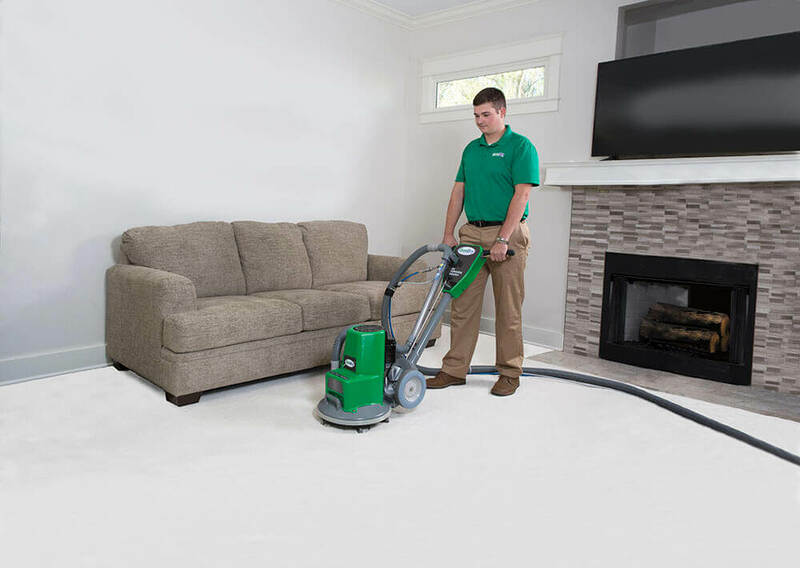 The carbonation penetrates deep into carpet and upholstery fibers and lifts dirt from deep within to be whisked away with our powerful extraction equipment. This method allows the most thorough clean. Plus, there is no dirt-attracting residue left behind – so carpets stay cleaner longer. HEALTHIER. We use a low-water method which means there is less risk of mold and mildew growth under your carpet that can result from the excessive water used by most steam cleaners. We use an all natural, green-certified cleaning solution that does not contain any harsh soaps or chemicals and is completely safe and non-toxic for your family and pets. Additionally, an independent air quality lab found that our HCE method removes 98% of common allergens in your carpets and upholstery, and when a sanitizer is added, 89% of bacteria is removed for your indoor air (learn more about the research here). Add all of it up for a safer carpet cleaning that is healthier for you, your family, and your home. We are unlike any other carpet cleaning service in your area. We commissioned a leading independent air quality laboratory to conduct a study using Chem-Dry’s Hot Carbonating Extraction (HCE) process in multiple homes. 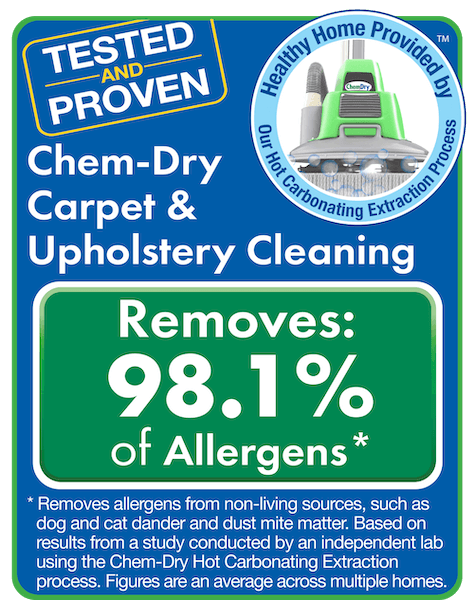 The lab found that Chem-Dry carpet cleaner removes an average of 98.1% of common household allergens such as dust mite allergens and pet dander from the carpets and upholstery we clean. It also found that, when adding sanitizer to our HCE carpet cleaning process, we removed an average of 89% of the bacteria in the air and 82.3% of the bacteria from carpets. With Delta Chem-Dry carpet cleaning, you can (literally) breathe easier about the health of your home for your family.